Blockchain will make the work of AI more transparent and understandable for humans. AI will make the work of blockchain more efficient, and reduce the power usage. AI will systematize the information available in the blockchain, and the latter will make it publicly available and more secure. Although the idea of distributed AI is relatively new, it has already been implemented in several projects. In our recent article, we told you about GraphGrail AI – a decentralized marketplace allowing people without a technical background to construct their own applications for natural language processing. Today we will continue our talk, and you will learn about a project uniting the idea of smart contracts and artificial intelligence. Also, we will happily share our experience in developing the online platform for a startup making the idea of distributed AI real. The Cortex blockchain contains AI algorithms that are designed to support smart contacts. The main goal of the project is to provide the machine learning technologies based on blockchain. This will allow users to create and manage the smart contracts even without special technical knowledge. 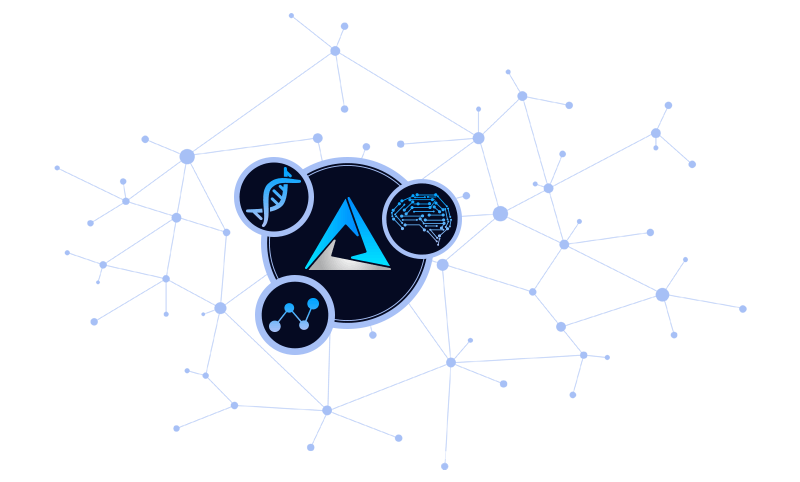 Cortex also provides a machine learning platform where the users can upload their models and receive a reward when they are used by other members of the community. Creating a decentralized artificial intelligence is a challenging task. Cortex solves it by giving machine learning specialists the opportunity to upload models to the publicly available platform and receive a reward for their use by the general public. Each time the model is uploaded, the Cortex Virtual Machine (CVM) synchronizes the information stored on the local resource with the network. The CVM is fully compatible with Ethereum and provides support for the inference instructions. When users launch smart contracts or upload an AI, they are to pay a certain amount of coins. The coin is designed to perform the inner operation, and its token is called Cortex (CTXC). The network for machine learning specialists from all over the world. They upload their own models for users to apply them to their needs. Having used the product, the buyers pay for the work of the developers. After each operation, the results are synchronized, thus keeping the information accurate and up-to-date. Each time the user performs an operation (uploads an AI model, executes the smart contact, initiates a transaction), he needs to pay an Endorphin, i.e. a fee. The amount of Endorphin depends on the operation complexity and directly influences the price of the token. Cortex also provides the option of training the artificial intelligence outside its blockchain. The user uploads the model via the virtual machine obtains the model’s hash, settles the parameters, and the system publishes an interface for programming the smart contracts. It is worth mentioning that instead of storing the models themselves, the Cortex system stores their hash value. The owner of the model can remove or update the model any time he needs. The model provider performs a transaction by executing a smart contract. Each time the model is modified, its hash value is changed. The node locates the model by queries of its index and downloads the model string and the corresponding parameters. The Cortex model representation tool translates the model string into the executable code. The code is implemented via the virtual machine, and the results are distributed through the blockchain. Cortex blockchain does not restrict access to the models, and the users can see publicly available evaluations of them. The models are assessed by their recall, accuracy and speed of performance, and the results are displayed on third-party websites. The models are also ranked according to their rates. The mining algorithm introduced by Satoshi Nakamoto is the classic of the cryptocurrency world. 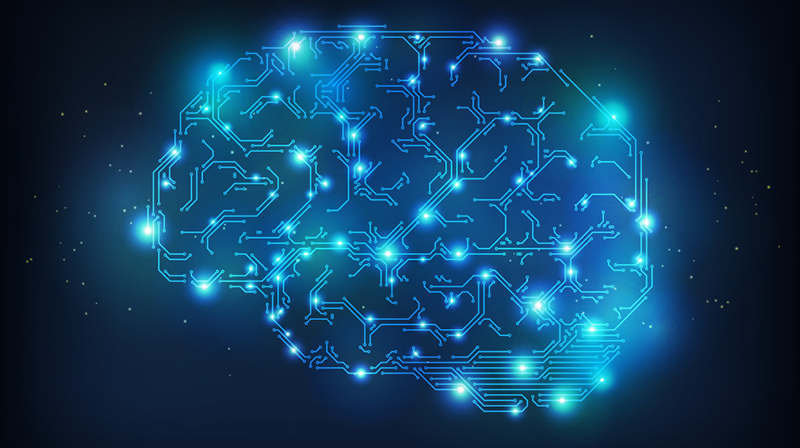 The communities and scientists studied numerous memory algorithms in order to make the graphics and intellectual processor more user-friendly. The Cortex team has developed an advanced mining algorithm that does not require large investments in costly equipment. They implemented a special ASIC design, increasing the speed of the calculations. They are going to study the productivity of smartphone processors in comparison to other tools for hardware systems. Besides, Cortex will give priority to one-machine-one-vote, using Cuckoo Cycle PoW to further narrow the gap between CPU and GPU speedup ratio. It creates an open and flexible standard for interaction with deep learning tools. This allows the users to transfer the deep learning models between the structure, thus simplifying their introduction to the work. Since the system is open-source, each user is capable of contributing: the developers will create the new models, the framework authors will modernize them, and the equipment suppliers will optimize the processes. Cortex stores all the models. Each transaction is checked in the nodes by consensus inference in the smart contracts. In the storage of Cortex’s full nodes, the system indexes all locally saved models and receives the data based on the information about addresses in the smart contracts. The Cortex storage is limited and cannot save all the models of the network. This problem is solved by caching. The full node supports the local cache of the model, and all the nodes balance the load after uploading the model to the memory of the graphic processor. The full node always stores the model of blockchain data. The mobile node works only with a small full-size model. Sloboda Studio also has the experience of creating the distributed artificial intelligence. This is a startup aimed at giving everyone the possibility of using the computing power of data centers for their personal needs. We will happily tell you more about our work on this project. We developed a cloud supercomputer that allows its users to remotely access the cloud storage and computational resources. It is based on video cards for cryptocurrency mining, rendering and solving the AI-related tasks. The services of the platform are paid for with tokens. The target audience of the project are the users of devices that can connect to the supercomputer remotely, the developers of applications and games. To create a supercomputer based on computation nodes that use GTX1080 graphic cards and Nvidia technologies. To provide a marketplace for placing and selling the software, games, and AI decisions. The users can select the necessary amount of computation power themselves. There is no need to spend a lot of time on this – the interface allows them to fully control the settings of the platform. The rental time is unlimited as well – the users can rent the cloud computer for an hour, several days, month or years. The service will be used for cryptocurrency mining, gaming, 3D design and other power-hungry computer activities. The developers will have the option to place their products on the marketplace. In turn, the users will pay for the usage of licensed software. NeuroStore marketplace serves as a mediator between the developers and the users. The supercomputer is based on a computing cluster. It consists of the master node and several computing nodes based on graphic cards. The system is united in Infiniband network and data storage. PaaS service platform supporting the Tensorflow, Theano, Caffe and Torch frameworks. Tools for deployment of the virtual machines and dockers (NVIDIA Docker). Administration of resources and clients (Bash scripts for construction and deployment of the service in dedicated resources). Client’s personal account with the possibility of choosing the software and hardware settings, payments and resources monitoring. 2-factor authentication was introduced as well. The marketplace for commercialization of software. Having read our articles on the use of blockchain and AI, you are now aware of the potentials of this trend. These are the most progressive technologies in the modern world, and their integration is capable of strengthening them both. If you are interested in developing a decentralized artificial intelligence, our skillful developers will gladly help you to bring your ideas to life. Any questions? Feel free to address them to us!